Duarte recommends using the “glance test” to determine whether an audience can easily understand the point of your slide. If presentation slides are good, we should be able to glance at them briefly, glance away from them, and understand what that slide was trying to accomplish. To perform the glance test, look at a slide for three seconds, and then look away. If you can, in that three seconds, capture the information, then it passes the glance test. If by the end of the three seconds, you are still left wondering what was that all about, the slide has too much information for your audience to process. Look at the following series of slides for three seconds each. After three seconds, do you understand the slide? If so, it passes the glance test. If after three seconds you’re still wondering what it’s about, the slide is unsuccessful. What contributes to the cluttered nature of the slide above? The water pattern. You can eventually read it, but it took a long time to wade through all of the patterns, colors, and fonts. 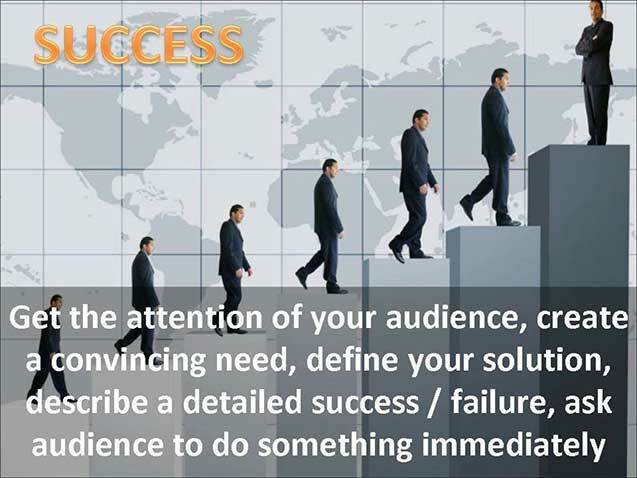 We want to make sure that our audience can understand the point in a more direct manner. Anything that is prohibiting you from getting the point is noise. Lets try another slide. Does it pass the glance test? 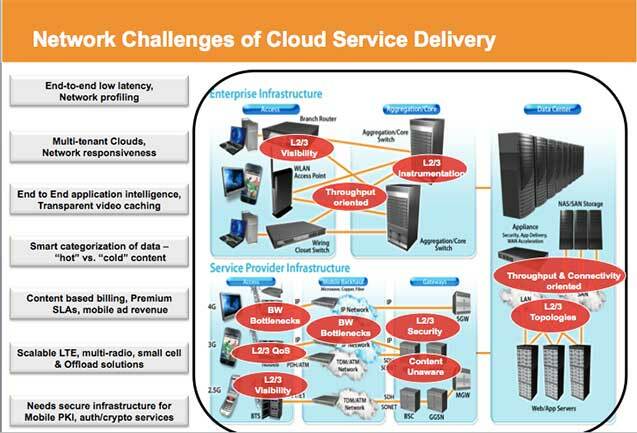 What contributes to the difficulty in understanding this slide? Let’s try the slide above. It passes the glance test. What helped this to be a clear message? 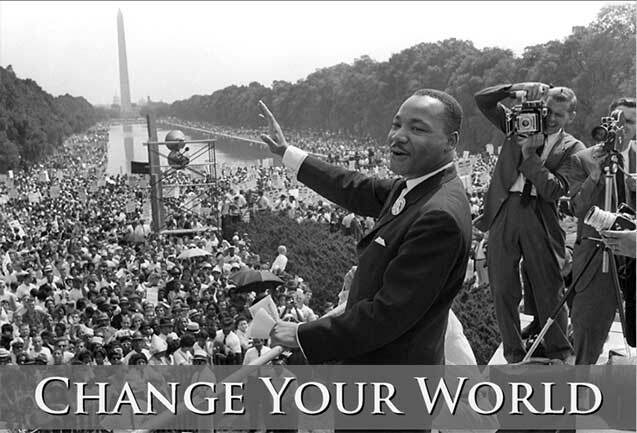 If during a presentation, you put this slide in and say, “Go out and change your world.” Would something like that help compliment what you’re saying? That’s the test. What about this slide? 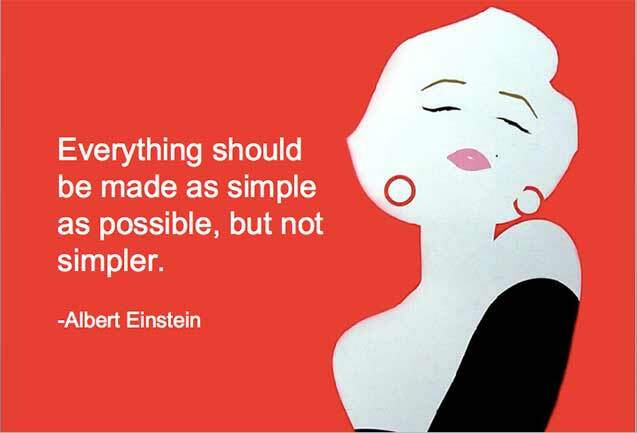 The visual is simple, but would we use Marilyn Monroe as an example of simplicity? It’s visually simple, but perhaps our visual conflicts with our message. At Duarte, we see busy slides like the one above. We want to think about our slides in terms of how they are going to help our audience understand the message quickly. Would this slide have a place somewhere? This might contribute to a great document, because a document is something that you can hold in your hand and peruse for a long time. The information on this slide could be split up across multiple slides to create a detailed document. Or, we could strip out the unnecessary information and make multiple slides to use this in a presentation. Consider re-designing any slides that take longer than three seconds to process. We want all slides to pass the glance test!